You served your country honorably and you know what making sacrifices entails. Now, it's time to get the benefits you've earned and the support only other veterans can offer. We know how many questions you must have. From service-related medical issues, and VA claims to educational benefits. We're dedicated to providing you with the answers you deserve! The VFW holds the resilience and dedication of today's military family in the highest esteem. These families believe in something larger than themselves, and their selflessness is inspiring. Through VFW programs like VFW Operation Uplink™, VFW Unmet Needs and VFW's Military Assistance Program, we're doing even more to ensure not a single service member, veteran, or their families fall through the cracks. Whether you or your family need the opportunity to call home more often, or a deployment has caused financial strain, we are the organization to turn to. We're an organization of veterans helping veterans! Whether you’re looking for a job, have questions about benefits delivery at discharge or are interested in furthering your education, we’re here to help you transition smoothly and successfully. 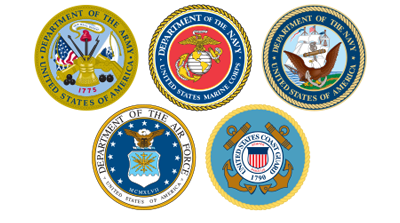 VFW National Military Services (NMS) offers support and assistance to the military community in many different ways through its four programs, Operation Uplink™, Military Assistance Program, Unmet Needs and the VFW "Sport Clips Help A Hero Scholarship" program. Whether it's helping service members and their families through long deployments or cope with rough financial times, NMS programs put our military families first. From providing free phone time and emergency financial assistance to farewell and welcome home ceremonies and college scholarships, the NMS department is here supporting our troops day in and day out. Some say they've got your back. We prove it. The VFW NMS programs are funded solely by the generosity of our donors. As the largest organization of combat veterans, we understand the frustrations that can arise with making a VA claim. That’s why our National Veterans Service (NVS) was created. Our nationwide network of skilled VFW Veterans Service Officers helps you wade through all the bureaucratic red tape, offering you a better opportunity to get the disability claim you deserve. You don’t even need to be a VFW member to take advantage of this free service. As a veteran, this is a service you’ve earned.